Creative infoway A Best WordPress Web Development Company has solid proficiency in developing totally customized WordPress website that gives the end-users a superior web experience and allows you to meet your specific web development goals, right within your budget. We have developed feature-rich and engaging WordPress websites for individual bloggers, educational institutes, publication house and media companies to name a few. Our team understands the importance of SEO-friendly web coding and therefore every website developed by Cromosys is coded to enhance the search-ability of your website on the search engines. In this era of Internet Marketing, our company brings to you a team of professionals who will develop beautiful WordPress websites for you. In this time of high competition, we tend to serve our clients with the best deal possible. To business sharply one requires proper kind of marketing for it. Wordpress Development is one of the basics of growing internet business and economy. Our team of professionals provides twenty-four hours- seven days assistance to all your queries regarding Wordpress Development. All the Wordpress Website Development projects under taken by us are supervised by the experts who provide personal attention to each and every phase of its development. 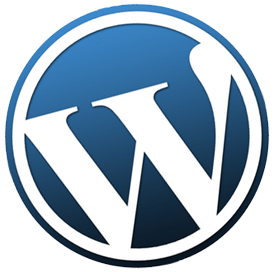 WordPress is a free open source blogging tool and content management system. Based on PHP and MySQL this widely popular CMS platform on the web counts for an approximately 20% of top 10 million websites around the globe. As a blogging system on the web it is still the most popular one with a whopping 60 million websites. WordPress is preferred by millions of web users and bloggers for its simplicity, ease and effectiveness. WordPress uses a web template system through its template processor. Typically a user using this popular CMS can enjoy an array of flexible features like installing and switching themes, using multiple plugins, multi user or multi blogger support with one installation, supporting mobile applications and many other features. From typical personal blogging to heavy business websites – there are great range of websites from every niche who prefer WordPress. Our company also offers dedicated WordPress developers on hire. You can choose from the team of qualified developers who are capable of independently handling projects. Our flexible working hours and unbeatable rates can meet your requirements appropriately.